Was Your Intentional Loss Not Covered? Typically, an intentional act to cause damage is not covered under a homeowners’ insurance policy. As such, insurance companies sometimes do all that they can to prove that an accident was no accident, and that the homeowner or the other co-insured intentionally damaged the property. For example, arson is not covered under a homeowner’s insurance policy when arson is committed by the homeowner. When your home damage claim is denied by your insurance company, it is time to call an experienced West Palm Beach homeowners’ insurance attorney. What is an Intentional Loss? An intentional loss occurs when the insured knowingly and intentionally commits an act that causes property damage to his/her own belongings or home. For example, throwing an object through a window during a fit of anger would be an intentional loss, whereas throwing a ball in the backyard through a window may not be an intentional loss. Often, the goal of an intentional loss is to collect insurance money. The most common example of this, often portrayed in movies and television, is a frustrated business owner or homeowner that burns their own establishment down to collect insurance. If found to be arson, not only would this result in an intentional loss not covered by the insurance company, but it would likely result in criminal charges. Arson of a dwelling is a first degree felony in Florida under statute 806.01 However, even if a homeowner was not found guilty of a felony or misdemeanor, or put under investigation for committing a crime, an insurance carrier can still argue that the damage was intentional in order to avoid paying. What happens when a co-insured commits insurance fraud and the co-insured is innocent? After all, if a husband and wife are both insured under the same policy, how can one cause intentional damage to their joint property, such as the home or a vehicle, while the other collect insurance from that intentional damage? It is generally much more complicated than two married people agreeing to commit a scam against their insurance company. Usually, the intentional loss is committed by one partner of a couple that is going through divorce or serious argument. In some cases, the court sides with the insurance company that an innocent co-insured should not collect insurance for the intentional loss committed by the partner. But in a number of cases around the country and here in Florida, the courts have sided with the insured. For example, in Kattoum v. New Hampshire Indem. Co., 968 So.2d 602 (Fla. 2d DCA 2007), the Second District Court of Appeals reversed the lower court’s decision that the auto damage to a husband’s car was not covered by the insurance company because his wife intentionally caused damage to it. 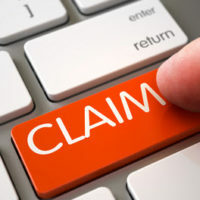 If your insurance company denied your claim based on their allegations that the damage was an intentional loss, you need legal help from an experienced West Palm Beach homeowners’ insurance attorney. Reach out to the lawyers at the Celeste Law Firm today for assistance.